I have been a fan of Gaga for while now. Some of her songs would run through my head, her voice is amazing, her acting is incredible, but what really drew me to her, was her heart. She truly cares about her fans and humanity. She also gives back to children/teens in need, that have been bullied or abused, and that is something that is close to my heart. 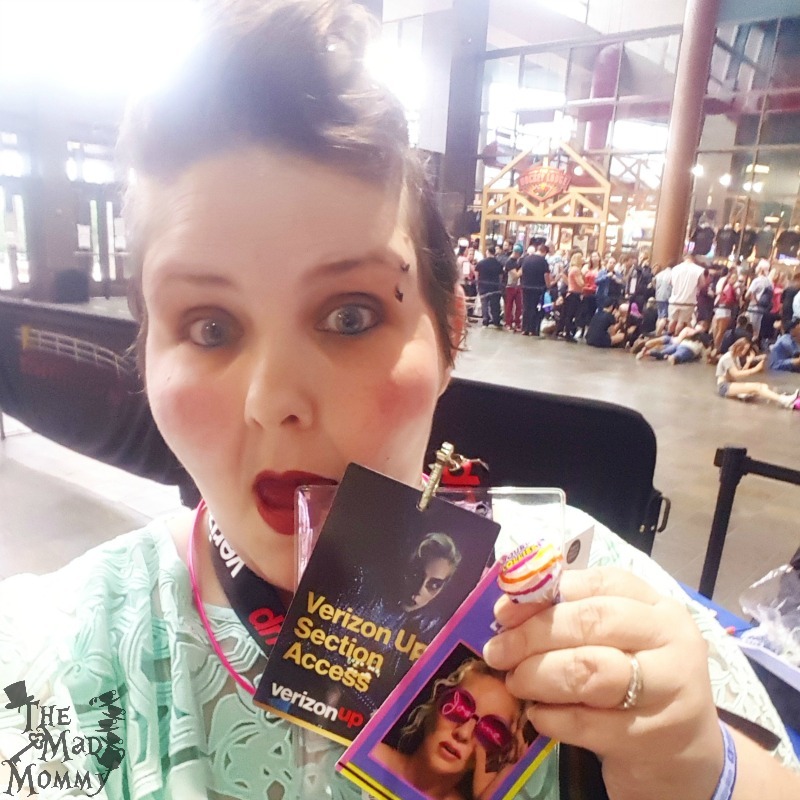 Verizon VIP Experience: Lady Gaga! 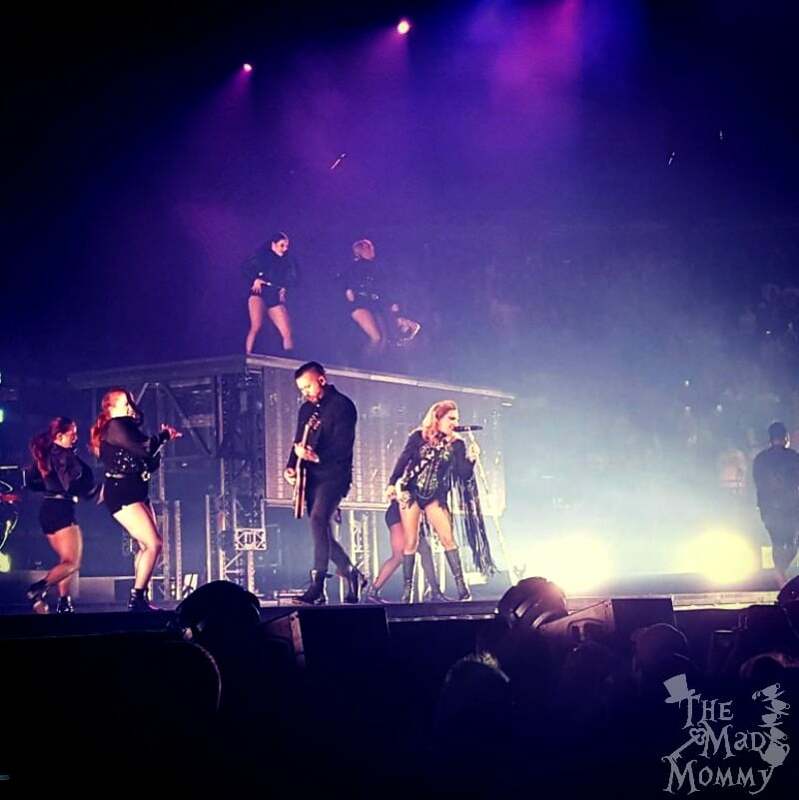 So, when Verizon asked me if I would like to go to the Lady Gaga Joanne World Tour at the Xcel Energy Center and test out their Verizon VIP Experience, I couldn’t say no! Seriously, I couldn’t stop fangirling. Verizon Up is a new rewards program that is breaking the mold with once-in-a-lifetime experiences, front-row tickets, Apple Music, Uber rides, sports gear, coffee and more. No points or levels required. Customers get one credit for every $300 they spend on their Verizon Wireless monthly bill. 1 credit gets you 1 reward, and some don’t even need a credit. After dinner, we got to watch the band perform an awesome sound check! I have never seen a band look that happy to be on stage. It seems like they truly enjoy it and the music! We also got to meet Lady Gaga’s backstage tour manager, Rick. He has been with Gaga since Monster’s Ball! 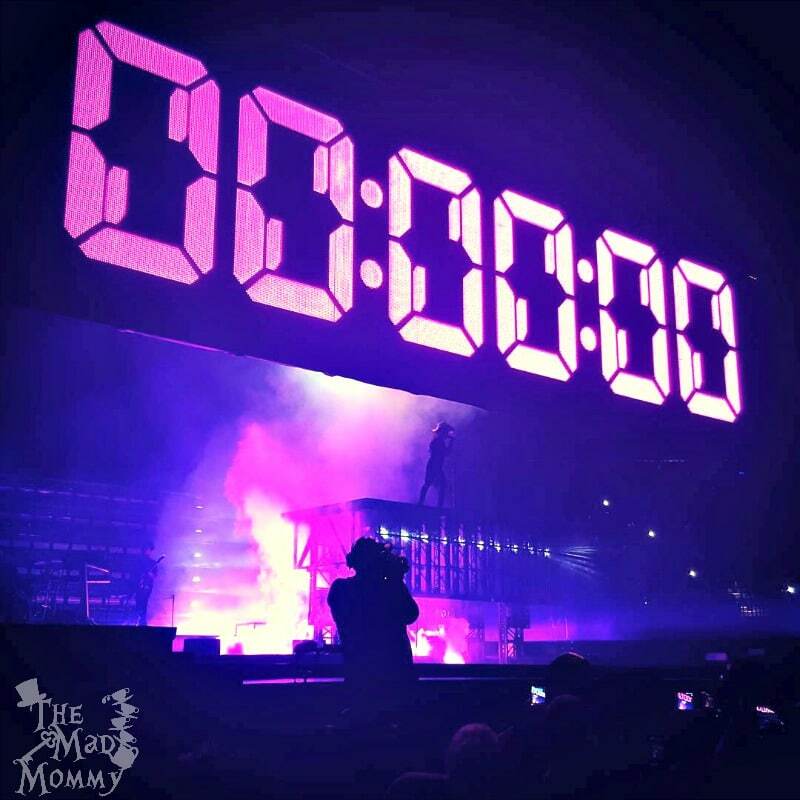 He took us on a backstage tour and showed us everything that goes into the show. They travel with 98 people, on twelve buses and the equipment travels in 24 semi trailers! When they arrive at a venue, it is a blank canvas. It takes them 15 hours to set up and only 4 hours to break it down. Amazing right?! 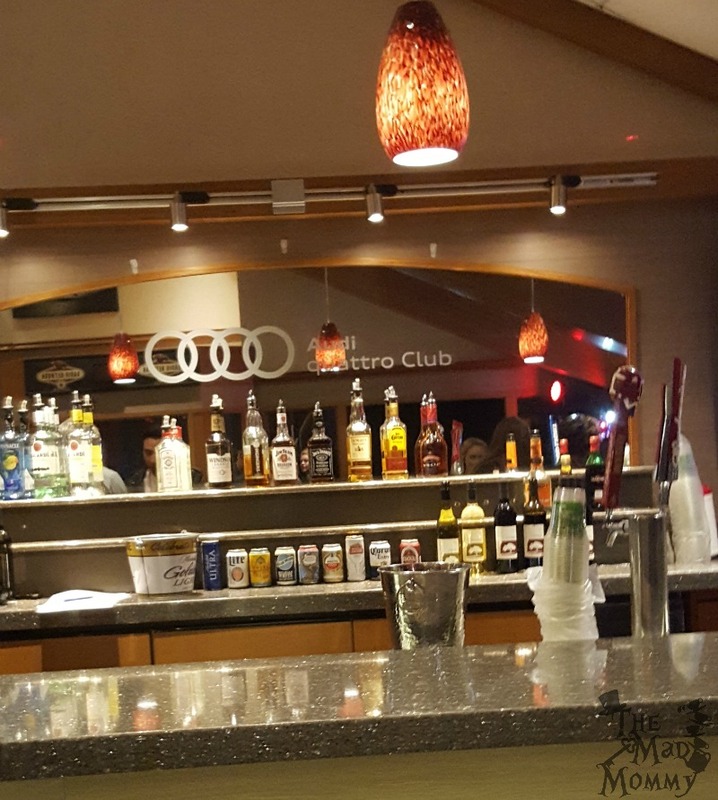 At the end of our backstage tour, we were escorted to the Audi Quattro Club, which was transformed into Lady Gaga’s VIP Room! The amazing staff at the Xcel Energy Center kept us well fed with mini burgers, fontina and mushroom quesadillas, shrimp cocktail and mini beef wellington! It was incredible! It was amazing! The DJ got us pumped up by playing all of Gaga’s songs! I hooked up with an awesome group of people for our group photo with Gaga! (Yes, I got to meet her!) My group included 4 people who were awarded their tickets through the VZup App and Jacob was one of them! I was seriously feeling like a real VIP! Meeting Lady Gaga: Feeling love from The Mother Monster! Once Lady Gaga was ready, we got to line up for our group photos! Once again, phones were not allowed and our photo was taken by a professional photographer. We’ll get our pictures in a couple of weeks. Lady Gaga is so beautiful in person! She was in full stage makeup and still smiled while she said “Hi” to all of us. As we turned to walk out, she looked at me and said, “You look so beautiful. I can’t wait to sing for you tonight!“. I may or may not have gotten goosebumps! Oh and she smells like cotton candy. I kid you not, cotton candy. That’s right, I wore a tutu! 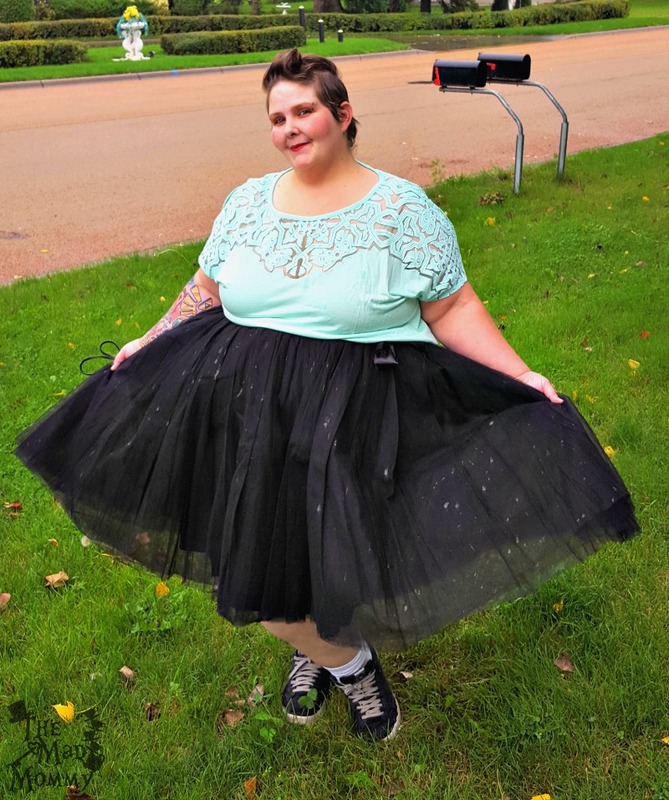 I want to throw a shout out to Society+ for sending me this amazing tutu that got me noticed by a fashion icon! After our pictures, we were taken to our front row seats and Lady Gaga’s countdown began! Once the countdown hit 0, she arrived! And, Lady Gaga takes the stage! She truly owns the stage! She interacts with the entire crowd and somehow, in a sea of people, she makes every single person feel noticed and special! When I met her, I wanted to ask her a question. Something that I could share with you, my readers. Something special. I wanted to ask her What she would say to a person that is still trying to find and love themselves? A person like me. I didn’t get to ask her a question, but somehow, she knew and right before she performed Joanne, she answered it. 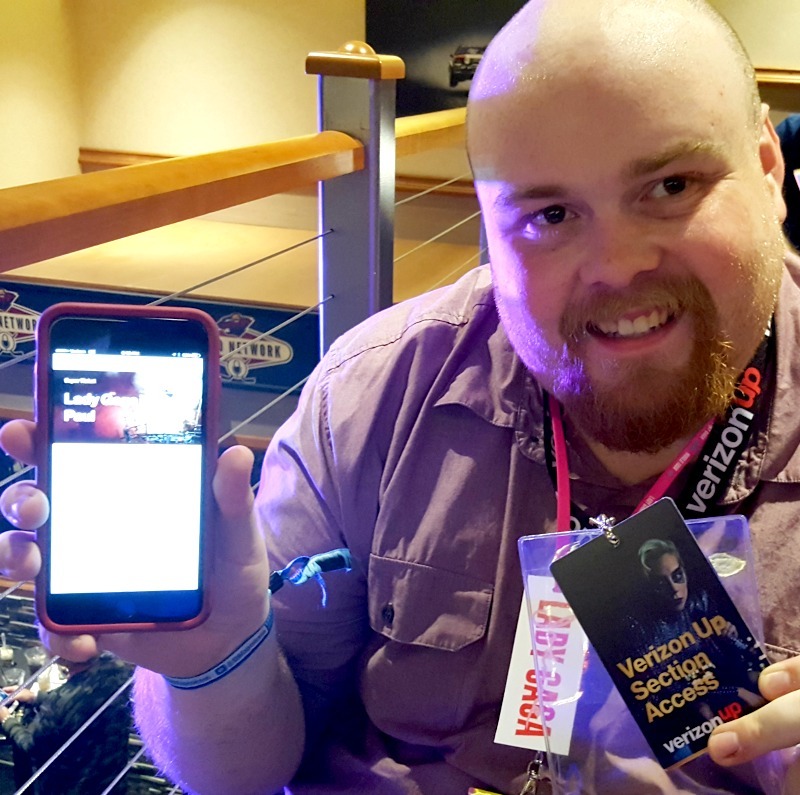 I can’t thank Verizon and the VZup app enough, for providing me with a truly once in a life time experience! Seriously, get the VZup app, so you can have a Verizon VIP Experience too! Have you had a once in a lifetime experience? What was it? How amazing to be able to see Lady Gaga VIP-style!! I just love your outfit…that tutu is too cute. I have chills reading this! I’m so thrilled for you that you had such an amazing experience!! OMG. I love her. I love this! I love cotton candy!!!! Well, the smell anyway. And I Love that she singled you out and answered your question, whether indirectly or not. Yes, I had my own once in a lifetime experience last week when I met Tim Curry and spoke my little love notes to him!!! Girl. That tutu? Ah-may-zing and such a perfect piece for a Gaga concert. Verizon hooked you up and thanks for letting me know about the app – I had no idea! That tutu is everything. I’m so glad you got to go – I would have loved to have that experience! That is so cool that Verizon provided you with VIP tickets for Lady Gaga concert. How lucky!!!! And you look amazing with the cute tutu! First of all, I just LOVE your outfit. So gorgeous. This is so cool that you got to do this. I’ve always liked Lady Gaga. She does so much to help others. What an amazing experience for you! 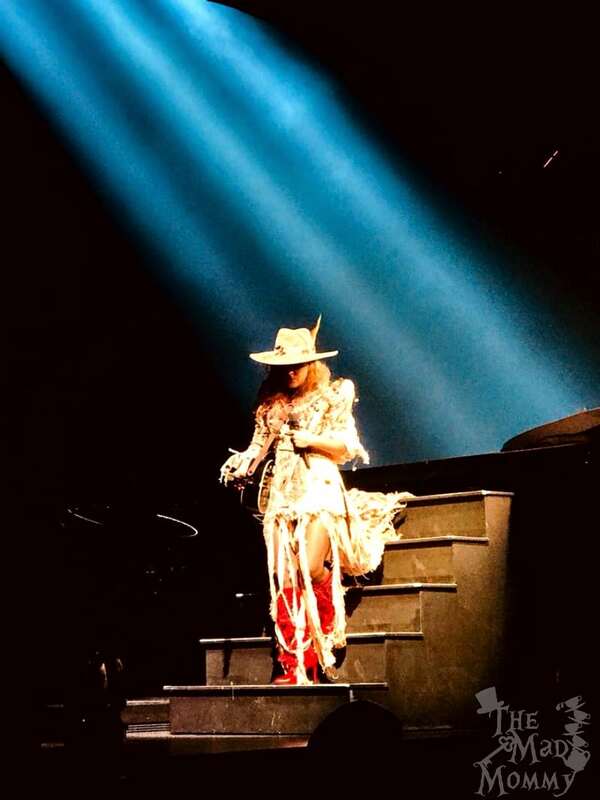 I would love to see Lady Gaga in concert sometime. Such an incredible night! So glad that you were able to enjoy yourself so much! And the tutu was the perfect choice!! I am a big fan of lady Gaga. Would have loved to be there at her concert. The next time, hit me up. That is so insanely cool! I can only imagine how exciting it was to actually meet her. Sounds like the whole experience was one to remember always. Awesome and unforgettable experience! She is truly an icon and meeting someone like her in person is such an amazing experience. I can feel your happiness and excitement in the photos that you shared. Love this post! Thanks for sharing your wonderful experience! OMGosh I’m over here fan-girling for you!! What an awesome experience! I love it when I get to have a VIP moment! Oh and you rocked that TuTu Girl! OMG I’m so happy for you! Carpe Diem, Sweets!!! What an amazing experience! (If you weren’t so awesome, I’d be very jealous). So so so awesome!!! WOW. I’m way impressed. And gulp to her quote. Seriously – going back to what broke us. Hard, but probably necessary. GULP. PS you look like the VIP! I love how they invite just a few to get all that extra vip treatment when most people who win get seated all the way in the back of the venue. This contest is a scam to make verizon look good. Everyone I know who has won has had to sit back by the sound board when the marketing clearly says front row or side stage. While I am happy for you and majorly jealous I do not appreciate verizons lies. I’m sorry that you feel that way! I know that only a few people were granted the VIP experience and others won regular seats, but I would have been happy with either, considering the price of a ticket and how amazing the show was! I think it’s amazing that Verizon offers things like this to their customers!